Pedestal & Round Urn in Aged Green by Falcon Miniatures. Designed for the 1:12 scale miniature setting. Made of painted resin. Purchase includes 2 pieces; 1 round urn and 1 pedestal. 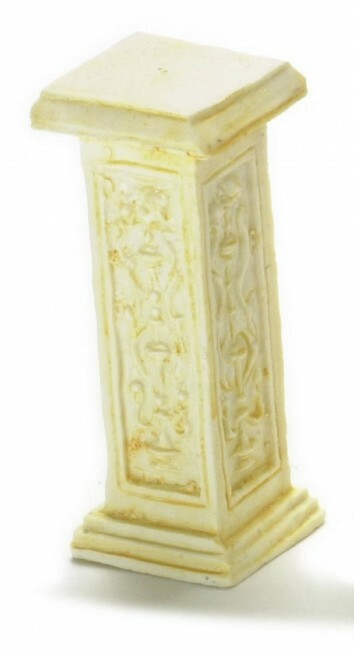 Pedestal measures 1 13/16 inches tall x 7/8 inches squared at base x 13/16 inches squared at top. Urn measures 1 1/4 inches tall x 3/4 inches squared at base x 1 5/16 inches in diameter at top.